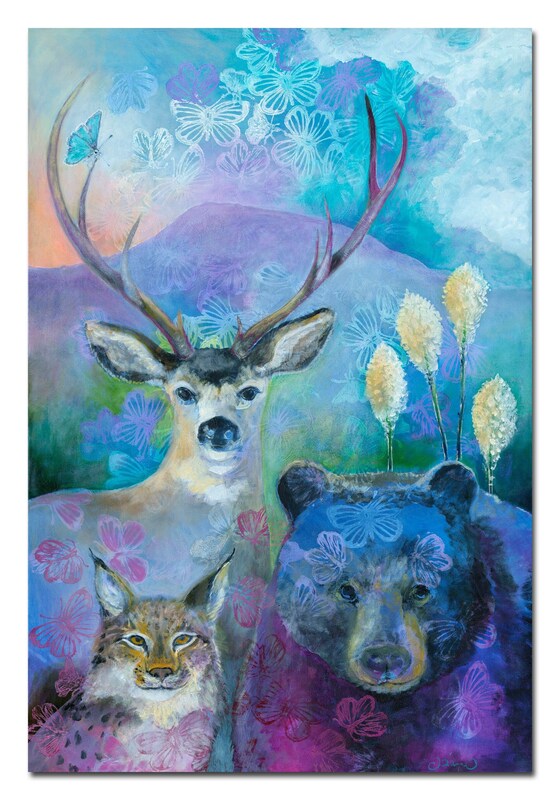 Rich with deep colors, delicate patterns, and tales of the Marys Peak wilderness in the Willamette Valley of Oregon - this is an ORIGINAL modern wildlife landscape Acrylic painting by me, Jennifer Lommers (aka Jenlo). The painting is sealed with an Acrylic polymer satin varnish on all sides. The painting wraps around the edges and is ready to hang and enjoy. The back of the painting is signed and dated. I visited Marys Peak in early summer, on a tour with a group of local artists. Guides led us through various views and vegetation, sharing stories of the land and the people who once gathered here. During a short break, a little blue butterfly made its way to me and stayed for several minutes. It seemed content to just rest and share the view for a bit. I decided to dedicate this painting to that little butterfly, while also reminding us all of the power and beauty of the mountain and its noble job of providing a place in which to peacefully gather and share our bounty and our stories. 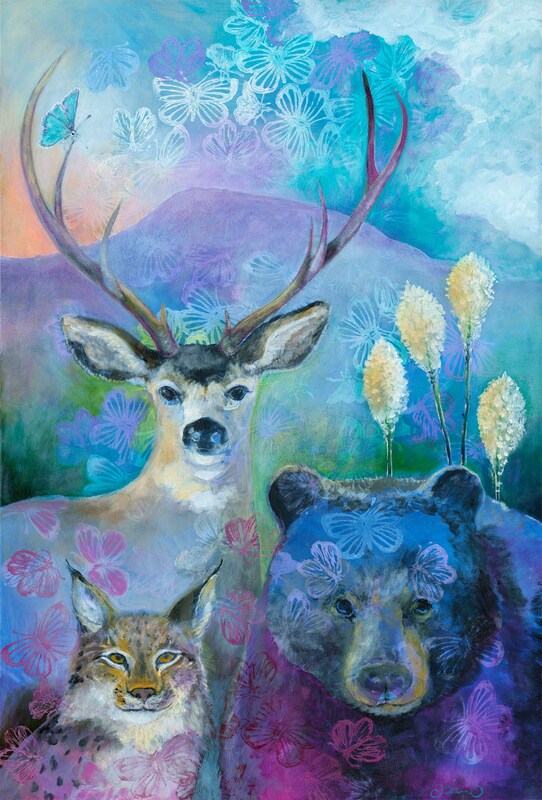 May she continue to shelter us all - from the wildlife who roam her foothills to the little blue butterfly dancing in her fields - and bring us all together at “The Gathering Place”. Shipped via UPS unless otherwise requested. If residing in Oregon, delivery may be available FREE to anywhere within 30 miles of Corvallis, Oregon. An additional $1.50/mile for Oregon deliveries outside of Corvallis. Shipping costs will gladly be adjusted accordingly after purchase. For international shipments, please contact me for shipping quote. Most international locations will be $40 shipped rolled in a tube (not stretched).